Dual USB flash drive lets you transfer file from your smartphone or computer. This special built USB flash drives comes with two USB male ports. One of them is standard USB and another one is Micro USB. The standard one will work with any USB ports with your computer or laptop or with your tablet if it has a standard USB female port. The other side, micro USB port is there for smartphones and tablets. 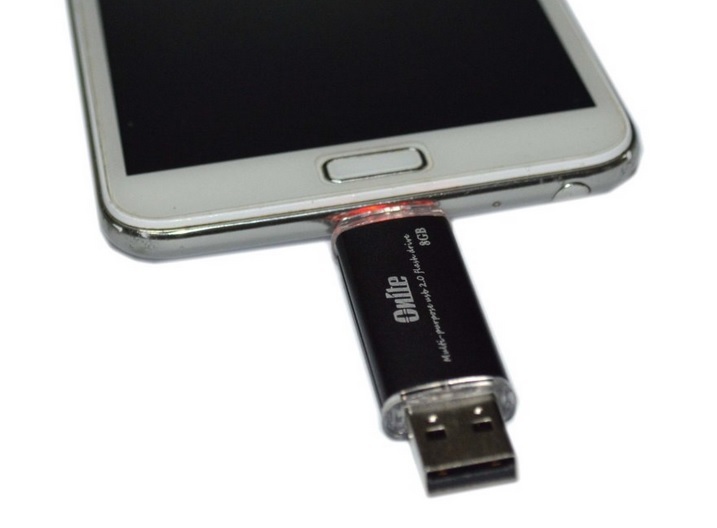 Most of the new Android and Windows smartphones will support this flash memory drive. Though dual USB flash drives comes with two ports, they share the same memory. You don’t need to worry where you will be saving your data. The same memory will work or will be shown to you when you plug the USB drive in. Sony corporation will release micro USB flash drives in early 2014 for smartphones and tablets. These drives will be available in 8GB, 16GB & 32GB version. The drives will support any Android device running Android 4.0 Ice Cream Sandwich (ICS) or later upto the latest Android 4.4 KitKat. For USA consumers Amazon.com are selling Leef Bridge 16GB Dual USB Flash Drive for $20.19 at the moment. Available in black color and do not need any extra cables, equipment or converter. The flash drive works stand-alone with wide range of devices. Amazon is doing free delivery on orders over $35. So, you need to buy something else to get this item free delivered or pay extra for free delivery. For UK users there is a 8GB dual USB flash drive available from Amazon UK site. The Onite 8GB dual USB flash drive is priced for £8.98 and have only 3 left on stock. They also work flawlessly with range of devices with both of the USB ports. Sold by GreyBeanUK and fullfilled by Amazon. Don’t forget to share this post among your geek friends who you think might need it.